Frozen is the highest grossing animated films of all time. I truly believe that every great animated film covers the struggle between heroes and villains. In Frozen our heroes were Ana, the ditzy princess, Kristoff, the loveless ice dealer, and Sven, his reindeer, and Olaf, the snowman. 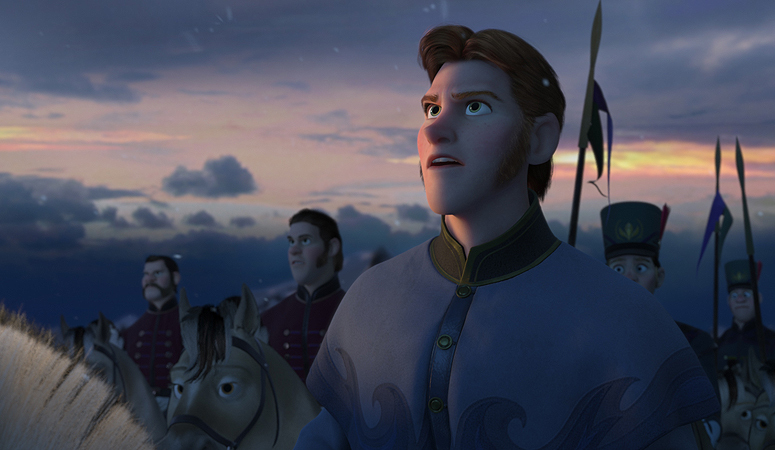 With heroes comes villains and although this story was based on the story called the Snow Queen where Elsa should have been the villain it changed to Hans, the young man shown in the picture above. Hans, thirteenth prince in line of the Southern Isles had a small problem. He wanted to be a King. Yet how would someone thirteenth in line become king once his father dies. He had an insane plan that actually almost worked. So now we know what Hans should have done to take the throne from his brothers. If he read the Bible he would have known about Abimelech and how he didn’t have to go to another kingdom to take power but to win the people behind the scenes. He could have proved to the people directly and then kill his brothers leaving himself as the only possible candidate. He would prove to be so ruthless who would dare overthrow him. Poor Hans, maybe in the sequel you could take power the Abimelech way and start a coup d’etat. Heavenly Father, I am thankful that you taught me what the most vile people would do to attain the crown. Whatever that crown maybe to that person. However, you proved to me with people like Joseph and David that even if I am the youngest that if it’s your will I can still rise to great heights. Thank you so much for allowing me the chance to continue to grow where there is no visible growth. In Jesus name, Amen.